Deepshikha, the prominent archer from Gurugram region has proven her performance with sure inclusion in the Archery Team of Haryana region. Deepshikha will now be the face of Haryana Archery team for National-Level Event. 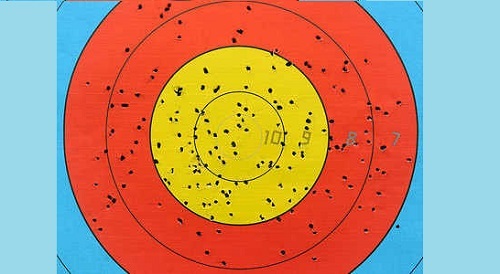 Deepshikha has attained all the skills about archery at the Tau Devi Lal Stadium located in Sector-38. In the trials held in Jind of Haryana region on 24 September, the young archer represented Gurgaon district in the final round. On account of her sharp aiming skills and bang-on ace performance Deepshikha has grabbed the prestigious opportunity. As per the details, the officials of the State Archery Association has declared the list of selected players from the trials on Wednesday. Deepshikha’s name in the list has been selected under the Indian round column. Deepshikha’s coach Bhagwat Singh is proud of the achievement of young archer, he informed that Deepshikha will kick-off her national level journey with U-14 Open National Archery Championship. The Championship will be launched in the Vijayvada region of Andhra Pradesh in between 23 to 28 October.